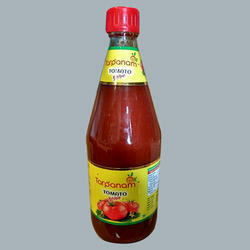 Our range of products include soya sauce, red chilli sauce, tomato sauce, green chilli sauce and tomato ketchup. 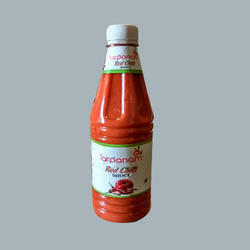 We are involved in offering superior quality Soya Sauce to our clients. 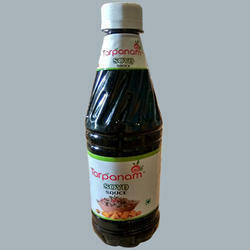 The soya sauce offered by us is prepared using supreme grade soya bean, procured from reliable vendors. Additionally, the offered soya sauces are free from any preservatives. These products are utilized in the preparation of different Chinese dishes and considered one of the oldest condiments. Keeping in mind the ever-evolving requirements of our clients, we are devoted towards offering an optimum quality range of Red Chilli Sauce which is widely acknowledged among clients for their nice aroma and attractive packaging. Making utilization of top class natural ingredients altogether with modernized machinery; these offered sauces are prepared in conformism with the industry defined standards. 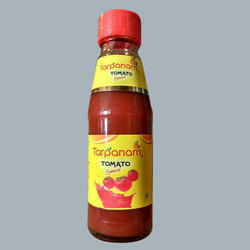 We are providing an excellent quality array of Tomato Sauce to our prestigious clients. The offered assortment of product is made without using any harmful preservatives or color enhancers and using advanced processes and natural, fresh and ripe tomatoes. Offered products have very effective and long shelf life features. Apart from this, we are providing these products at leading market prices. Backed by rich industry experience, we are engaged in offering our clients with high-grade Green Chilli Sauce. Processed from fresh green chilies, it is known for its spicy taste, purity, rich aroma and longer shelf life. 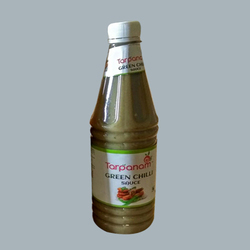 Also, our wide range of Green Chilli Sauces is high in demand all across the world for their valuable nutritive value and exceptional quality. With a perfect blend of sweetness and spice, these are widely demanded in hotels, restaurants and homes while preparing a number of cuisines. Looking for Sauces and Ketchup ?